Android O introduces an new application icon format called adaptive icons, intended to make all icons on a device more coherent. 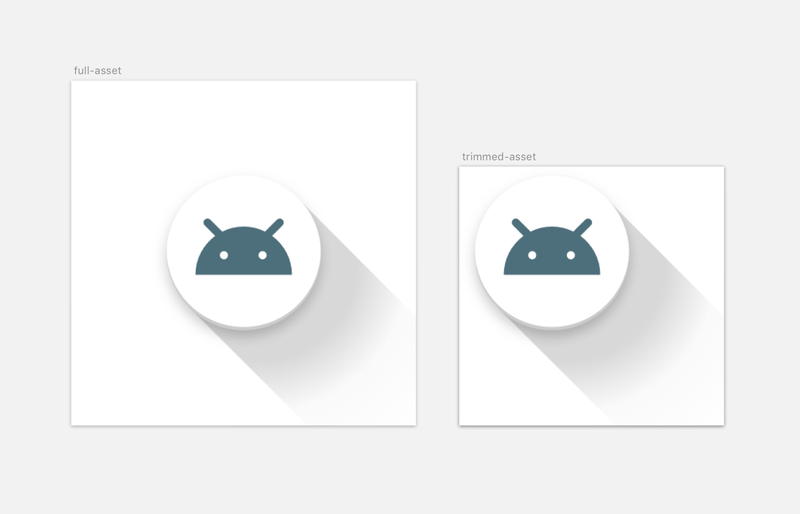 This post will look into how to build adaptive icons for your app. It’s unlikely that many apps will be minSdkVersion 26 any time soon, so this post will also examine techniques for adding this additional icon as efficiently as possible. It’s also worth pointing out that Android Studio 3.0 includes a new wizard to help you to create adaptive icons which we won’t cover here; we’ll stick to the fundamental format and techniques. Each drawable must be 108dp*108dp in size; background drawables must be opaque whilst foregrounds can contain transparency. You also need to build your apk with buildToolsVersion 26.0.0 or higher. Because adaptive icons are only used on API 26+, you can rely on certain features being available to you. Specifically pretty capable VectorDrawable support. Unfortunately you can’t use custom drawable inflation; as your icon will be loaded by other apps’ processes, you need to stick to platform drawable types. Utilizing vectors is attractive as it allows us to specify the drawable once in a very compact format. That means it will be crisp at every density without bloating your APK. In particular, many developers do not seem to have taken advantage of VectorDrawable's support for gradients. On this topic, I’d recommend reading Ian Lake’s recent post on implementing an adaptive icon which covers the basics. The shadow produced by the radial gradient. The launcher is now responsible for masking the overall drawable and providing any drop shadow for the full shape. You no longer have to bake in a shadow for the entire shape. The icon is comprised of a background and a foreground image, so if one of those layers does not require any shadows, then it can take advantage of vectors. Some simple shadows can be approximated using gradients but unfortunately not everything. 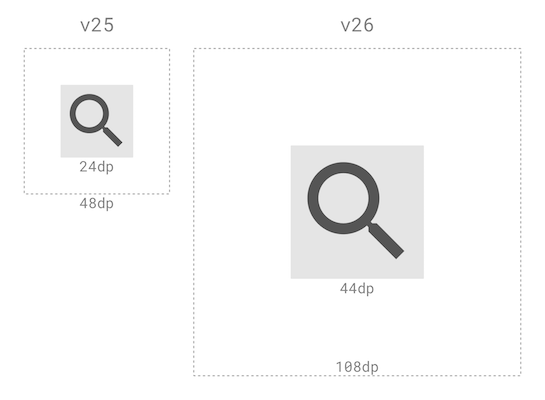 If you can’t implement your design with vectors then it’s perfectly fine to do so using PNGs. Your launcher icon is such a crucial asset that it’s definitely worth a few extra bytes to make the right impression. There is however a neat trick that you can utilize for assets with areas of transparency in them… which is somewhat common in adaptive icon foregrounds. While this kind of asset likely compresses well at build time, at run time each pixel takes up 8 bits of memory no matter what the opacity. To minimize this, if the transparency is around the edges, you can trim these areas from the PNG and use an InsetDrawable to wrap it and fill it out to its 108dp size. Now unfortunately InsetDrawable doesn’t love being resized (i.e. if you set a top inset of 16dp it will always be 16dp no matter how the drawable’s bounds are resized) so in API26 fractional insets were added to mitigate this. This lets you specify insets as a percentage of the overall drawable so they will scale correctly. For example, say you have a foreground asset which is 54dp*54dp; instead of placing that in a 108dp*108dp asset amidst transparency you can do the following. Note that you’ll still have to provide the trimmed raster asset at different densities, but at least each will be smaller and in-memory size will be much reduced. Adaptive icons aren’t solely for app icons, they’re also used for app shortcuts. App shortcuts can be pinned to the homescreen so they need to fit in with app icons. The (pre-O) design specs call for shortcut icons to sit on a grey circular background. 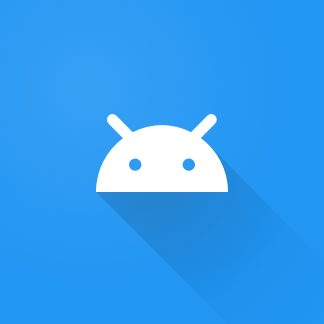 In Android-O, the background should fill the adaptive icon mask. If you don’t update to adaptive, your shortcut icon will be scaled down and placed on a white background. For bitmap image shortcuts, use Icon#createWithAdaptiveBitmap. If you’re building an adaptive icon, then the Adaptive Icon Playground app might be useful to you. It lets you preview adaptive icons on your device, see how they look with different masks applied and explore some motion effects. Hopefully these tips will help you to build awesome adaptive icons that will make your app a better resident of your user’s device. If you’ve got any tips for implementing adaptive icons, then let me know in the comments.